UPDATE: 4:40PM. 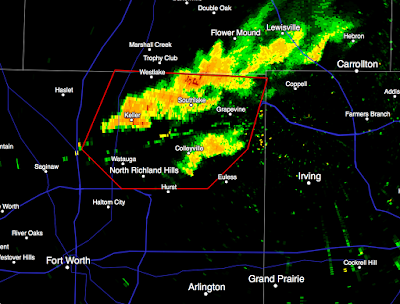 All clear for Tarrant County. 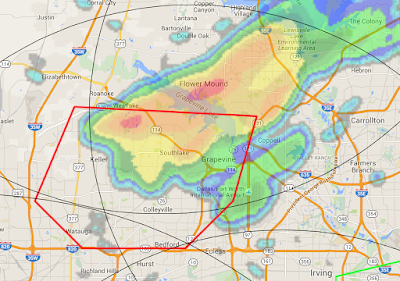 UPDATE: Radar at 4:31pm shows the location of the storm moving ENE. 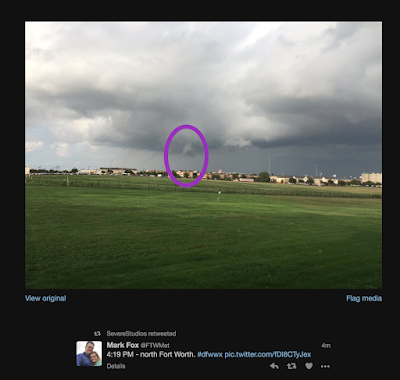 To my knowledge there is no tornado on the ground at the moment but the area from Westlake to Southlake area up toward Lake Grapevine should continue with safety precautions. 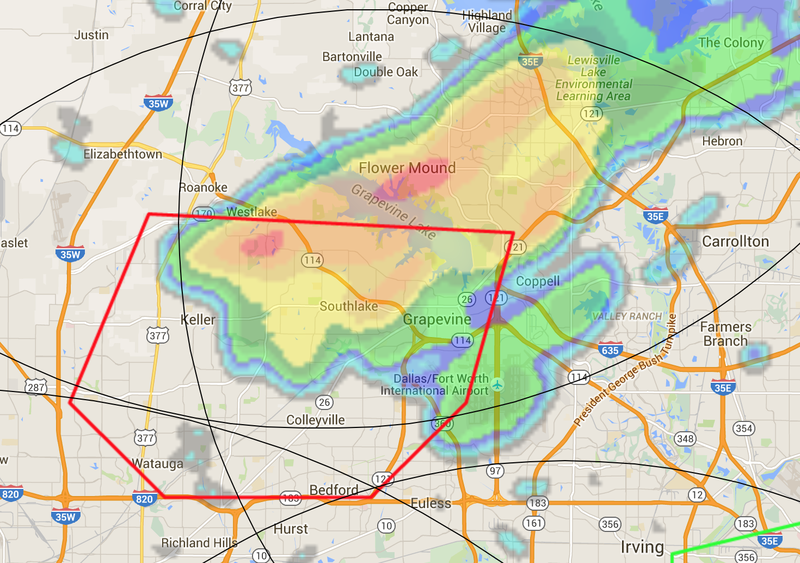 Tornado reported over North Richland moving NE to ENE. This is the latest radar image at 4:21pm. The most likely area for the tornado now is between Keller and Southlake moving NE to ENE. This will delay flights at DFW International. Via Twitter, a photo of the tornado.